Lahaul and Spiti, located in the North Indian state of Himachal Pradesh is a huge district and is often called as a hidden gem that shares its international borders with Tibet. 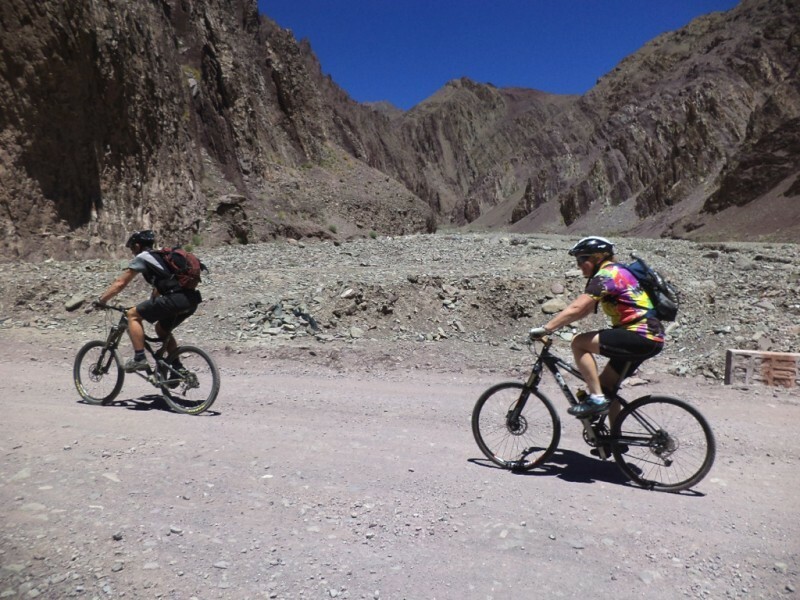 Bike Tour of Lahaul and Spiti Valley is an admirable experience filled with thrilling adventure as the tour takes you through the striking vales of Lahaul and Spiti along with magnanimous desolated regions. Bike Tour of Lahaul and Spiti Valley also offers you to relish the rich traditions and customs of this hidden gem nestled in the high Himalayas which are worth witnessing. The region is adorned with great exquisiteness, high snow clad mountains, sparkling rivers, lush valleys, imperial old age structures along with glaciers and forests. Bike Tour of Lahaul and Spiti lets you enjoy riding through the remote valleys, villages and demands to cross some of the high mountain passes. An envoy from Travel Myntra Team will receive you at your arrival point in Delhi (Airport or Railway Station) and will ensure that you are comfortably transferred to the hotel pre-booked for you. Take some rest and later enjoy A Guided tour of Delhi, the capital of India. Delhi, a political axis of the country and a city that connects two different worlds, the Old Delhi and New Delhi. Old Delhi which was once called as Islamic Capital of India showcases old Havelis, narrow streets, mosques and temples. In contrast, New Delhi was urbanized during British era and showcase sky high buildings, Big Shopping malls, massive flyovers etc. Best Tourist Attractions of Delhi includes Red Fort, Jama Masjid, Rajghat, India Gate, Connaught Place, Qutub Minar, Humayun's Tomb and Akshardham Temple. Once the Delhi Sightseeing Tour concludes, return to your Hotel and relax. Enjoy your breakfast and get picked-up from your Hotel for your transfers to the boarding point of the Luxury Volvo Coach to Shimla. Our envoy will ensure that you are comfortably seated in the coach. It will be around 8-9 Hrs of journey and you would relish the spectacular views of countryside and Shivalik Himalayas. On reaching Shimla, receive greetings from Travel Myntra Envoy who would ensure that you are comfortably picked-up and transferred to the Hotel pre-booked for you. Shimla is also called as "The Queen of Hill Stations" and it was the summer capital during the British Supremacy. Relax for the rest of the day in the cosy ambience of your Hotel and prepare yourself for the next day trip. Enjoy your breakfast and get introduced to the monster machines of your choice such as Royal Enfield or Harley Davidson. Pickup the bike of your choice and attend a short orientation regarding driving rules and safety. Later hit the road and enjoy Shimla Sightseeing Tour to get acclimatize with the road and machine. Shimla is located on the Shivalik Himalayas, encircled with snow capped mountains, extreme greenery along with deodar and pine forest, undoubtedly Shimla is amongst the most visited Hill stations in India. Visit the Best Places to see in Shimla such as Jakhoo Temple, The Ridge, The Mall, Lakkad Bazaar, Christ Church, Shimla Museum and Summer Hill. Certainly it is a place that holds magic in the air and offers enthralling beauty. After Local Sightseeing of Shimla drive towards Narkanda, a panoramic hamlet. On reaching Narkanda, check-in at the hotel pre-booked for you and get retire for the day. Enjoy the gorgeous beauty, fresh breeze and prepare yourself for the next day. Enjoy your breakfast and get ready to explore the Best Tourist Attractions of Narkanda like Hatu Peak, the highest point in Narkanda and offers stunning view of snow clad Himalayas; Stokes Farm, a popular Apple Orchards; Kacheri, popular and ancient Mahamaya Temple devoted to Goddess Kali. Afterwards bump into the most exigent route towards Sarahan, the former summer capital of the Bushahir Kingdom and famous for its stunning and peaceful environment. On reaching Sarahan, check-in at the hotel pre-booked for you and explore the Best Places to see in Sarahan like Bhimkali Temple, an ancient Kinnaur style temple built with stone and wood; Bird Park, a prominent pheasant breeding centre and Bhaba Valley which lies in the environs of Bhaba River. Later relax in your hotel and prepare for next day trip. Enjoy your breakfast and jump onto your bike for further drive towards Sangla Valley, a place that is highly admired for its enticing splendour and offers magnificent views of snow covered peaks. Sangla Valley is also known as Baspa Valley as River Baspa also passed through the valley. On reaching Sangla Valley, check-in at the hotel pre-booked for your and get prepared to explore the Best Places to see in Sangla like Kamru Fort, a prominent architecture and is one of the Best Tourist Attraction of Sangla. Inside the Fort complex is the famous temple of Hindu Goddess Kamakhya Devi which is highly revered by locals. Explore the splendid beauty of the region for the rest of the day. Enjoy your breakfast and hit the road towards Kalpa, a petite beautiful hamlet nestled in the Sutlej River Valley and one of the important village in Kinnaur region. Kalpa village is also regarded as one of the World's Heritage Village. Kalpa beautifully displays a perfect blend of Hinduism and Buddhism and an abode of many temples devoted to Hindu and Buddhist Gods. On reaching Kalpa, check-in at the hotel pre-booked for you and get ready to visit the Best Places to See in Kalpa like Kinner Kailash Peak, Hu-Bu-Lan-Khar Monastery, Durga Temple and Narain Nagini Temple. Rest of the day is free to explore the nature at its best. Early morning enjoy the fabulous views of snow capped mountains that turns into cerise and gold during the Sun rise. Enjoy your breakfast and hit the hard-hitting route to Tabo, an ancient village located on the banks of River Spiti. This graceful hamlet on both of its sides is flanked by Hills. Tabo is amongst the main monastic complex of Spiti and it is also affirmed as a protected monument by Archaeological Survey of India. Tabo is also regarded as Ajanta of the Himalayas. On reaching Tabo, check-in at the Hotel pre-booked for you and get ready to explore Tabo. The Best Places to See in Tabo are Tabo Monastery and TsuglhakhangTemple. Closely enjoy the nature and relish the serenity speckled here. Enjoy your breakfast and bump onto your bike for further drive to Kaza. En-route visit the famous Dhankar monastery, a 16th Century old fort style monastery was earlier used as a reformatory. Afterwards drive further towards and visit the beautiful Pin Valley nestled at the foot of Kungri Glacier. Pin Valley is famous for its splendid beauty and is a gateway to many trekking routes. Later drive further towards Kaza and check-in at the hotel pre-booked for you. The Best Places to see in Kaza are Sakya Tangyud Monastery which is amongst the oldest monasteries in the state and Gue Mummy, a naturally preserved dead body of the Lama lovingly called Mummy Lama. Kaza is a small beautiful settlement in the Lahaul and Spiti and is a commercial centre of Spiti valley. Kaza is adorned with immense beauty, stunning streams, lush paddock and high snow capped mountains. Rest of the day is free to relax. Enjoy your breakfast and get ready to drive through one of the most challenging routes from Kaza to Keylong, popular for being isolated, full of landslide prone areas, demands water crossing with narrow and off road tracks. En-route you will pass through the Kunzum La Pass amongst the India’s highest motorable mountain passes. Kunzum La Pass provides stunning views of Bara-Sigri, world's second longest glacier. Take a short break at Kunzum La Pass and visit the Kunzum Devi Temple to pay respect the Goddess and later enjoy Tea and snacks. Afterwards drive further to Keylong, a place that offers fresh atmosphere and exquisite panorama. On reaching Keylong, check-in at the Hotel pre-booked for you and rest after a long and tiring journey. The day has been kept free for you to relax and to enjoy a visit to some of the Best Places to see in Keylong, an oasis that rests between the white snow clad mountains and the brown barren mountains. Enjoy your breakfast visit the Best Attractions of Keylong such as Kardang Monastery (a 12th Century Monastery), Shaspur Monastery (popular for its paintings and beautiful devil dance of Lamas) and Tayul Monastery (famous for a huge statue of Guru Padmasambhava). Afterwards, enjoy shopping at the Keylong market and after an energizing day, get retired at the warmth atmosphere of your Hotel. Enjoy your breakfast and jump on to your bike to drive towards Manali which is going to be the last stretch of your Bike Tour of Lahaul and Spiti Valley. En-route take a short break at Rohtang Pass, amongst the most hostile and inaccessible passes in winters. The passage to Rohtang Pass is sprinkled with extravaganza in its background that calls over thousands of enthusiastic bikers every year from all over the world. Afterwards drive further and relish the splendour of petite villages located on the way to Manali. On reaching Manali, get settled at the hotel pre-booked for you. After a sumptuous dinner, enjoy a sound sleep and kick-off the tiredness of this endearing Bike Trip of Himalayas. Explore the Best places to see in Manali after your breakfast. Manali is one of the Most Popular Tourist Destinations in Northern India and one of the Best Honeymoon Destinations in India, blessed with abundant elegance and splendour. Manali is a popular destination amongst adventure enthusiasts and offers plenty of adventure activities like Paragliding, River Crossing, River Rafting, Trekking and Skiing etc. The Most Popular Tourist Attractions of Manali includes Hadimba Temple, Manu Temple, Vashisht Village, Tibetan Market, the famous Mall Road of Manali and the Club House. In the evening, enjoy strolling around Mall Road followed by a farewell dinner. A time has now come to say goodbye to your Bike. You are free to spend the day till lunch as per your convenience. After Lunch, you will be picked up by Travel Myntra envoy from the reception of your Hotel and will be assisted in your transfers to the boarding point of the Luxury Volvo Coach for your onward journey. 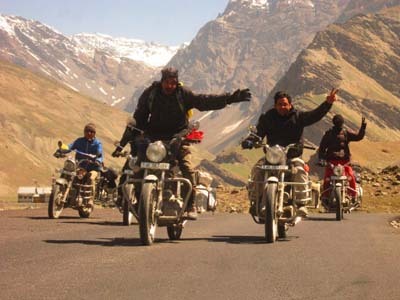 The Bike Tour of Lahaul and Spiti Valley ends here with fun thrilling memories.